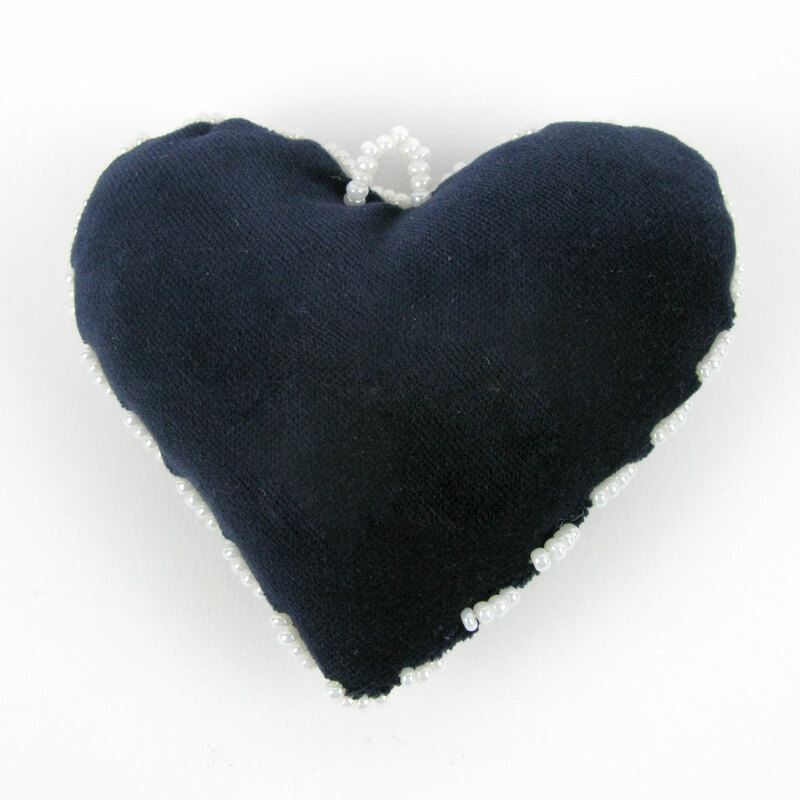 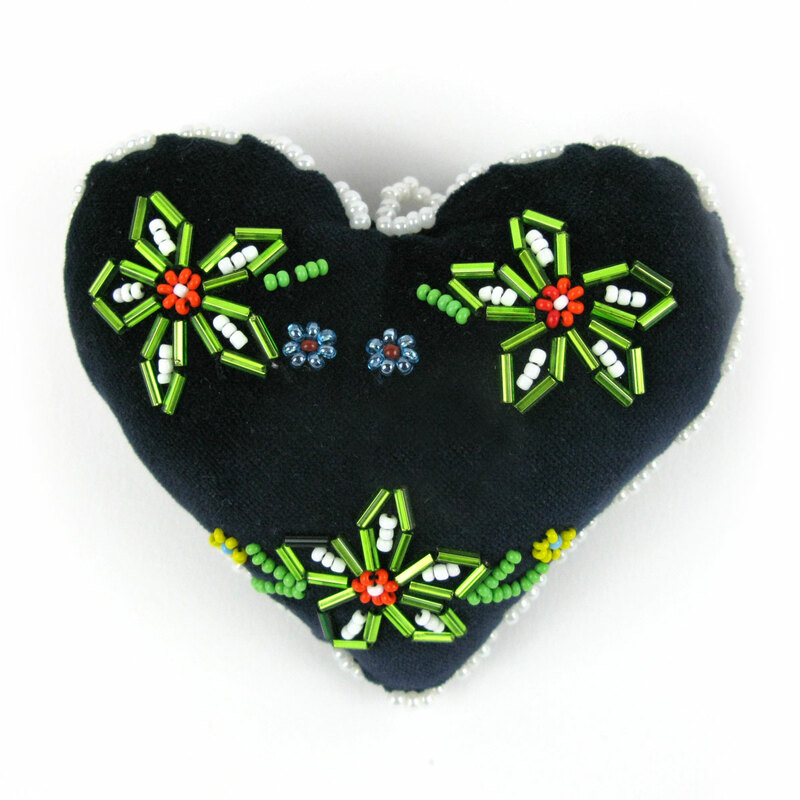 Velvet heart-shaped pin cushion decorated with glass beads. 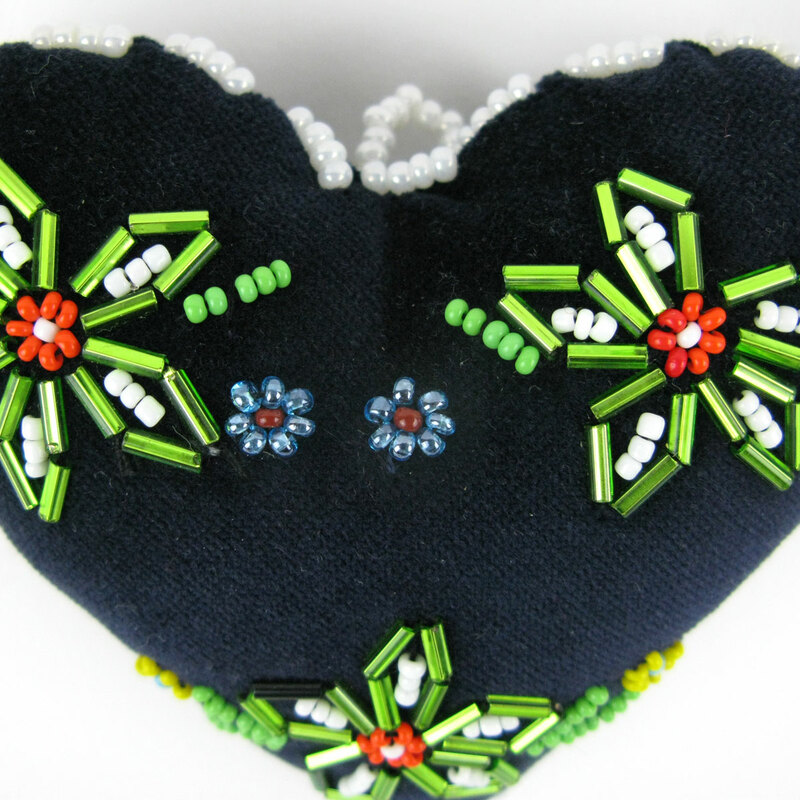 A handmade velvet pin cushion that has been decorated with glass beads on one side. 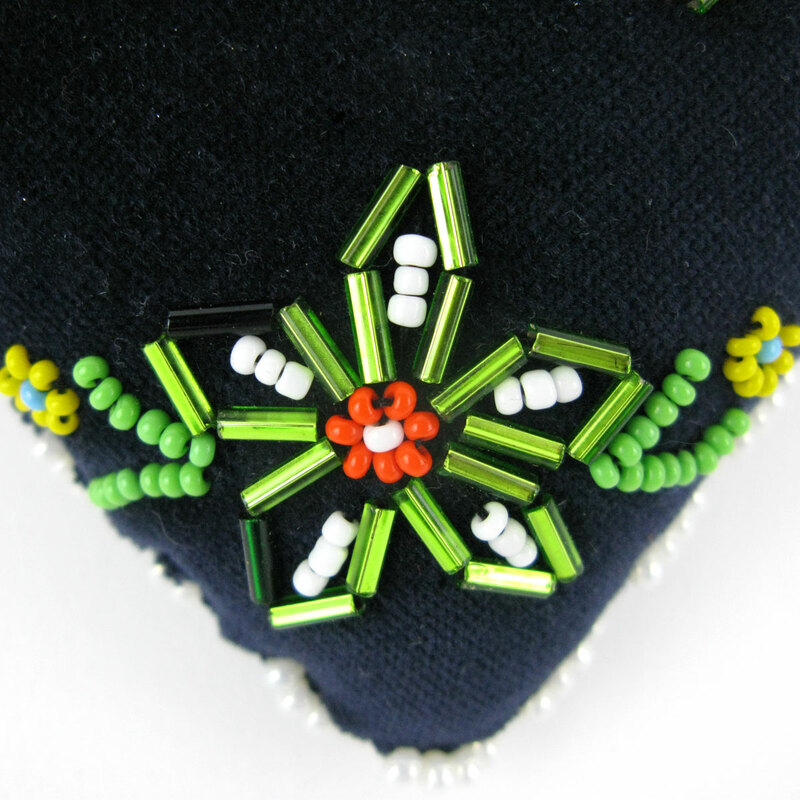 It has lovely folk flowers on it.